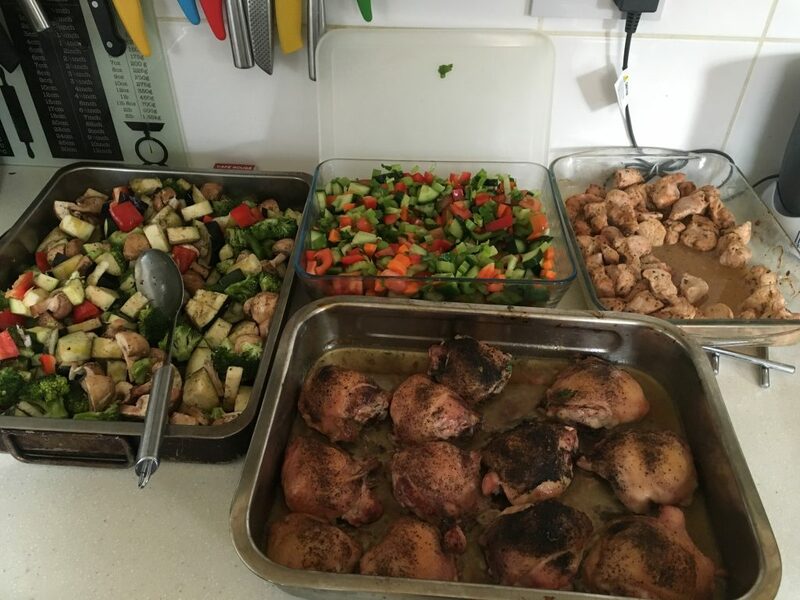 Following on from the topic of meal prep and planning ahead; this is just one example of how to get ahead of yourselves with your food prep. The biggest key to success when planning ahead is making the time within your life to get it done. This has to fit into your lifestyle and day to day routine. For me its 2 big cooks a week, I prep a cooked vegetable meal and a raw salad. I rotate the protein I eat to create variety and I use different things to accompany my meals such as hommous, avocado, feta cheese etc to again create variety. The above picture is enough to feed 2 people for 2-3 days at least – any longer and the food doesn’t last. For most of you you won’t need to prep on this scale, but it gives you an idea of how you can batch your meals ahead of time. This is just one example of how you can make healthy eating and living fit your lifestyle – which will make losing weight or maintaining weight loss that much easier as you have a set structure and routine that you follow day in and day out. I usually have a container with sticks of carrot, cucumber, peppers and cherry tomatoes in the fridge to snack on when I feel like it between meals. This may stop you from reaching for biscuits or other higher calorie snacks. I am a big fan of batching my meals ahead of time but if this isn’t for you have a think about how you can make time to be organised with your meals which in turn will make it easier to stick to a healthy regime, making weight loss much easier. If you need help in this area I am always available for a chat to help you.